Zofran is a prescription medication used to treat severe nausea in certain patients. The main ingredient in Zofran, ondansetron, belongs to a class of drugs called 5-HT3 receptor antagonists which block serotonin from binding to the 5-HT3 receptor. While Zofran is the brand/trade name of ondansetron, there are generic versions of the drug available. Zofran was approved by the Food and Drug Administration (FDA) to treat nausea and vomiting in cancer patients. Chemotherapy drugs can cause patients to become extremely nauseous; Zofran helps reduce this feeling and suppresses the vomiting reflex. Zofran is also approved to treat nausea and vomiting in patients who have undergone surgery. In addition to its approved uses, Zofran has also been prescribed “off-label” for other patients affected by nausea. Patients with gastroenteritis – the common stomach flu – are sometimes prescribed Zofran to help with nausea and vomiting caused by the bug. Patients with gastroparesis, a disorder that slows or stops the movement of food from the stomach to the small intestine, are also sometimes prescribed Zofran to help with nausea. More controversial “off-label” uses of Zofran include treating severe morning sickness, a condition called hyperemesis gravidarum, in pregnant women. Hyperemesis gravidarum can be dangerous for both mother and baby as the vomiting becomes so bad it results in a severe loss of fluids, dehydration, electrolyte imbalances and weight loss. However, no adequate clinical trials have been conducted to test the safety of taking Zofran during pregnancy. Zofran belongs to a class of drugs called 5-HT3 receptor antagonists. 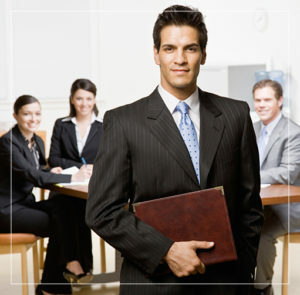 They are often identified by the suffix –setron. Most drugs in this classification have similar mechanisms of action. 5-HT3 receptors are found in several different areas of the body, including some of the nerves responsible for the vomiting reflex. When serotonin binds to the 5-HT3 receptor, it can trigger this reflex. Zofran and other 5-HT3 receptor antagonists suppress vomiting by blocking serotonin from binding to 5-HT3. 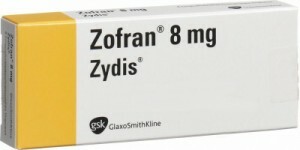 Zofran was approved by the FDA in January 1991 for the treatment of nausea and vomiting associated with chemotherapy. It is also approved to prevent nausea and vomiting in patients who just had surgery. Since its approval by the FDA 25 years ago, Zofran has been prescribed “off label” to treat nausea and vomiting in other patient populations, including pregnant women, despite the lack of clinical data to show it is safe and effective for use in pregnancy. 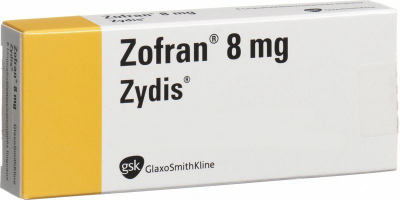 Name-brand Zofran was originally manufactured and marketed by British pharmaceutical giant GlaxoSmithKline. The drug is now being marketed by Swedish-based Novartis Pharmaceutical Corporation after the two companies entered into a deal in 2015. In 2012, the FDA issued a safety communication to physicians and patients warning that the 32 mg single IV dose of Zofran could affect the electrical activity of the heart, called QT interval prolongation. QT prolongation could put patients at risk for developing abnormal and potentially fatal heart rhythms known as Torsades de Pointes, the FDA said. The makers of Zofran subsequently pulled the 32 mg doses, updated the drug’s label and warned the drug should only be administered intravenously in 16 mg doses or less. Zofran is sometimes prescribed to pregnant women suffering from severe morning sickness despite a lack of clinical trials testing the safety and effectiveness of taking Zofran during pregnancy. A limited number of studies analyzing birth and prescription drug registries have been published that show the risk of certain birth defects increases in babies born to mothers who took the drug during pregnancy. Two studies published in 2013 and 2014 both found the risk for heart defects in newborns increased two-fold when their mothers took Zofran. Another study published in 2011 found the risk of babies born with cleft palate increased more than two-fold for women taking Zofran during the first trimester. What complications are associated with Zofran? Zofran has been linked to serious and sometimes life-threatening birth defects in newborns. These birth defects include certain heart defects, cleft palate and kidney problems. Some studies have found an increased risk of certain heart defects, called cardiac septum defects, in babies born to mothers who took Zofran during the first trimester of pregnancy. Cardiac septum defects include Atrial Septal Defect (ASD) and Ventricular Septal Defect (VSD). ASD occurs when a hole exists in the wall separating the top two chambers of the heart. VSD occurs when a hole exists in the wall separating the two lower chambers of the heart. Both defects can be life-threatening if not treated and may require surgery. All babies are born with an opening between the upper chambers of the heart. That hole normally closes or becomes very small within several weeks or months after the baby is born. When a baby is born with ASD and the hole is very large, extra blood is pumped into the arteries in the lungs, making the heart and lungs work harder than normal. This additional stress can cause damage over time. If a baby is born with a large ASD, open-heart surgery may be necessary. Doctors may also use cardiac catheterization to plug up the hole. A large ASD can cause permanent damage to the lungs if not treated. Babies born with VSD can have either small or large holes in the heart. Infants who are born with large holes may have difficulty feeding and growing at a normal rate and symptoms may not occur until several weeks after birth. A large hole allows more blood to flow into the lung’s blood vessels, which could cause permanent damage over time. Open-heart surgery may be necessary to repair the VSD. If a baby is very ill, has more than one VSD or if the VSD is in an unusual location, he or she may require a temporary operation in which doctors place a band around the pulmonary artery to stop excess blood flow into the lungs. When the baby is older, he or she will require a second surgery to remove the band and repair the VSD. Babies born with cleft palates are born with a split or opening in the roof of their mouths. Cleft palates occur when the tissues in the roof of the mouth, which is formed between the sixth and ninth weeks of pregnancy, do not join together completely. Apart from the obvious physical difference between a baby born with a cleft palate and a baby born without, cleft palates can cause eating problems, ear infections, hearing loss, speech and dental problems. An Australian study published in BioMed Research International in 2013 found babies were at a seven times higher risk for kidney problems if their mothers took Zofran in early pregnancy. Though the study was small, it found taking Zofran during the first trimester of pregnancy put newborns at an increased risk for obstructive defects of the renal pelvis and ureter. This means urine cannot drain properly from the kidneys into the bladder because there is a blockage in the ureter, the tube that connects the kidneys with the bladder. Symptoms of this birth defect include recurrent urinary tract infections and possibly impaired growth. In what pregnancy category is Zofran? Zofran is in pregnancy category B, set by the FDA. Pregnancy category B means animal reproduction studies have failed to demonstrate a risk to the fetus but there are no adequate studies in pregnant women. Can Zofran be passed through breast milk? Animal studies show Zofran can be passed through breast milk, but it is not known whether or not Zofran is passed through breast milk in humans. The makers of Zofran warn nursing mothers should be cautious about taking Zofran. How do you take Zofran? Zofran can be taken in pill form, as a liquid oral solution or as an intravenous (IV) injection. Zofran is not available over the counter. Oral forms of Zofran are available as 4 mg white tablets, 8 mg yellow tablets or 24 mg pink tablets. There is also a quick dissolving tablet (orally disintegrating tablet, or ODT) available in 4 mg and 8 mg doses. The oral solution is available in 4 mg doses and the injectable form is available in 2 mg doses. The maximum dosage for adults varies depending on what the drug was prescribed to treat. The recommended dose for kids varies depending on the child’s age. How much does Zofran cost? Depending on the how many milligrams each dose contains, name-brand Zofran costs between $650 and $800 for 20 to 30 tablets without insurance; the price is about half or less with insurance. Generic versions of the drug are available and are significantly cheaper than the name-brand version. Are there any medicines I should not take while taking Zofran? The 32 mg intravenous dose of Zofran was recalled in 2012 due to the possible risk of QT prolongation and the development of a potentially fatal heart rhythm called Torsades de Pointes. The oral versions of the drug were not affected by the recall. Have lawsuits been filed against the makers of Zofran? Yes. There are hundreds of lawsuits pending in U.S. district court against the makers of Zofran. These lawsuits allege the original makers of Zofran, GlaxoSmithKline, failed to warn about the risks associated with the drug. Nearly 250 cases have been consolidated in multidistrict litigation (MDL) in the U.S. District Court for the District of Massachusetts. U.S. District Judge F. Dennis Saylor is presiding. GlaxoSmithKline already lost a battle against the federal government several years ago, when it paid out roughly $3 billion to settle allegations it illegally marketed several drugs, including Zofran. I took Zofran while pregnant and my baby was born with birth defects. How do I file a claim?